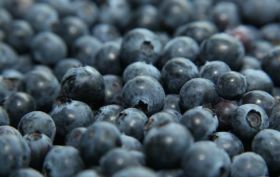 Argentine blueberry exporters have welcomed a decision by the Chinese government to reduce tariffs on imports of fresh blueberries from 30 per cent to 15 per cent. “This is very good news and more than important as it brings us closer to competitors like Peru which pays a zero tariff,” said Federico Bayá, president of the Argentine Blueberry Committee. Argentina’s agroindustry secretary, Luis Miguel Etchevehere, said the move would provide a fresh stimulus for Argentine exports and help strengthen trade links with China. Producers are also urging the government to reduce export taxes in a bid to increase the competitiveness of blueberry exports. They say the high expenses involved in blueberry production, such as labour costs, coldstorage and packaging, should make them exempt from export taxes.